Sonoma County’s 2015 exhibit at the California State Fair won Best of Show – also known as the Golden Bear Award, a Gold Medal and Best Marketing Presentation Awards. California counties create representative displays to be showcased at the State Fair held in Sacramento each year. 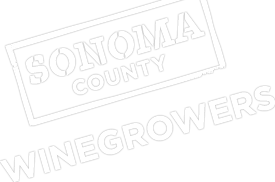 Sonoma County has participated in the Counties Exhibit every year since 1988, having received multiple gold awards but this year is the first Best of Show Award. The County’s exhibit is created through a coordinated project lead by the Sonoma County Department of Agriculture/Weights & Measures. Sonoma County’s exhibit reflects the incredible variety of resources and recreational opportunities for residents and visitors alike. There are adventures to suit everyone’s interests whether on the Sonoma Coast, at an award winning winery, amongst the giant redwoods, on a bike trail, or along a gentle flowing river. There are many festivals and other events that showcase the special place and the bounty of Sonoma County. The exhibit also spotlights some of the many products from local farms, and food and beverages produced in the County such as wine, apples, vegetables, cheese, milk, flowers, olive oil, cider, eggs, and honey. For more information on the California State Fair visit castatefair.org.